Bloody hands in private security firms? Your farm is in danger of being set alight. You are desperate to protect, in particular, your valuable packing crates and the fruit stored in your pack shed. An overstrained police force can't be relied on to protect you, and your friends are facing similar problems. What do you do? If you are a Western Cape farmer, you hire a private security company. Acknowledging the size of the beast at the end of October, and calling for concomitant regulation, Police Minister Nathi Mthethwa said, "The South African private security industry is increasingly performing functions which used to be the sole preserve of the police. This has, and will continue to have a serious influence on the functioning of the criminal justice system as a whole." His words seem prescient when considered against the backdrop of what has been happening in the Western Cape over the past week, where farmers have reportedly been scrambling to find private protection. Farmer Hannes Hanekom told the Daily Maverick last Wednesday that the demand was so great around the Ceres region that there were too few companies to meet the needs of the farmers. City Press reported on Sunday that some of the guards brought in were "paramilitary operatives specially trained in handling strike action". There have been reports of guards imported from Johannesburg, and that in De Doorns two helicopters were also used to patrol. The Daily Maverick was told by an NGO source that they had received eyewitness accounts of a helicopter firing rubber bullets at protestors. We were, however, unable to verify this. Our source at a Ceres hospital said on Thursday that he believed that some of the 15 patients he treated on Wednesday night had been shot by private security guards, including one who had been shot with what he described as "buckshot". Now there are rumours that the second farmworker to die during the protests, Bongile Ndleni (40), was shot by a private security guard too. Police spokesman Lt-Col Andre Traut would not verify this information to the Daily Maverick. "The body of Bongile Ndleni was found [on Saturday] at his house," he said via text message. "He was allegedly shot on Wednesday in Prince Alfred Hamlet. No indication that he died as a result of police action. Murder case is under investigation." Traut elaborated to Sapa that, "indications are that he was shot on Wednesday on a farm in the Prince Alfred Hamlet area by individuals driving a LDV [Light Duty Vehicle]". The circumstances around Ndleni's death are mysterious. The Daily Maverick's source at the Ceres District Hospital confirmed that Ndleni had been admitted to the hospital on Wednesday. "He was seen here on Wednesday, treated and kept overnight, discharged the next day - stable - and died on Saturday at home," he said. The complication in his condition is currently unknown and will only be established after a post-mortem. The Daily Maverick phoned around to a number of private security firms in the Western Cape, none of whom were particularly cagey about information. Global Force Security, based in Worcester, said that they had received a "couple of requests" for guarding services from farmers, but "not a frenzy". They had no helicopters, they said. Capital Security Services in Worcester said that they did receive "a lot of calls" and that they were "busy in De Doorns". They too, had no helicopters. "That's a private company from Joburg," they said. AC Security's Pieter du Preez said that the company had seen "a lot of trouble", but from clients with whom they had a pre-existing relationship. "A lot of our premises have burned down," he said, meaning premises that they guard. He suggested that the only private security companies who had helicopters would be big firms like ADT or Fidelity. ADT's switchboard proved impenetrable. A representative from Fidelity's Western Cape office denied that they were guarding any farms. When asked if they had any helicopters, she was audibly confused. "This is Fidelity," she said. They didn't do helicopters. SNG Security's Mark Reed, when asked if they had seen any action from the farm protests, replied "No, not really. We have had no VIP protection calls," - an area of speciality for SNG. Did they use helicopters? "We charter them to fly over certain areas," he replied, and for VIP commutes. But he explained that it would be financially unviable for most security companies to own their own helicopter: "The maintenance on those machines costs an arm and a leg," he said. What kind of weapons would security guards normally carry? "That depends on their training and authorisation," Reed said, explaining that different kind of guns require different forms of certification. What kind of a weapon could be used to fire buckshot, or little pepper balls? (The Ceres doctor estimated that he had extracted 120 little balls from the back of one protestor.) "Actually, that sounds like it could be a paintball gun," Reed said. Confused about the powers of private security companies, the Daily Maverick turned to the Institute for Security Studies' Gareth Newham. "Private security officials have no greater powers than ordinary citizens," Newham explained. "As far as I am aware that means that they may not fire rubber bullets or 'buckshot' at people and could be charged with assault if they did so. Any use of force against an individual can be legal only in limited circumstances. For example, to affect an arrest if there is direct knowledge or reasonable belief that a person has committed a crime, or in self-defence. In both cases, the force used has to be the minimum amount required, and proportional to the threat being faced." With regards to the use of helicopters, Newham said that only larger companies would have the resources for such equipment. 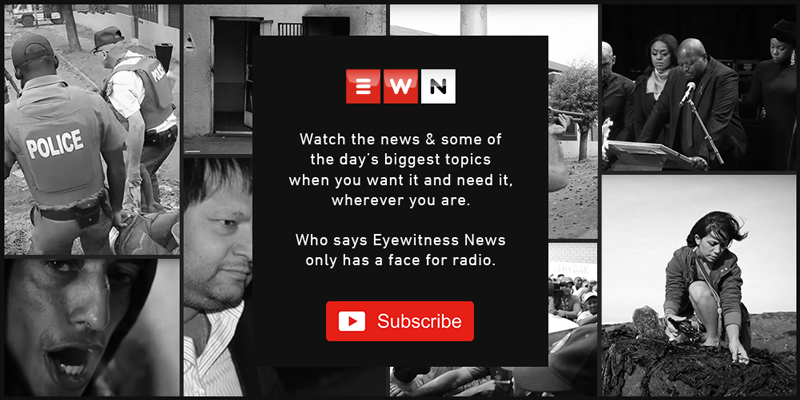 "They of course could hire them for specific incidents, such as is happening in the Western Cape, but then it should only be for surveillance purposes." City Press wrote on Sunday that a guard protecting Ceres's huge Dutoit Agri was wearing the insignia of Vetus Schola protection services and had a Congolese accent. Passop's Braam Hanekom told the Daily Maverick that it would be "extremely dangerous" if farmers were employing private security who were foreign nationals, as it might fuel existing divides in the community. A Ceres local told the Daily Maverick last Wednesday that it was believed in the area that some of the guards were ex-Koevoet members. The Namibian counter-insurgency unit, notorious for brutality, has also produced alumni who have gone on to work as "private security experts" in Iraq. After the death of former Koevoet soldier Francois Strydom in a bomb blast in Iraq in 2004, it was revealed that an estimated 1,500 former South African soldiers and policemen were operating in Iraq, in contravention of the 1998 regulation of foreign military assistance act. Vetus Schola's website announces both permanent and freelance recruitment opportunities for "those that have the right calibre of training, the natural instincts and sufficient field experience". "Strike Handling" is one of their specialist offerings. A web page featuring a photo of a fearsome-looking tank explains: "Our team of trained personnel assists companies in potentially violent situations. We handle the complete management of strike protection; including on-site executive and plant security." They explain that the team consists of "former law enforcement personnel, as well as military and security agents". The private security industry in South Africa has attracted controversy already this year, but for very different reasons. The Private Security Industry Regulation Amendment Bill aims to control foreign ownership of private security companies, and proposes regulations such as the prevention of any foreigner living legally and permanently in South Africa from working in the private security industry. The DA's shadow police minister, Dianne Kohler-Barnard, said at the time that its proposals "[went] against the Constitution and international treaties", and that the claim that foreign ownership of private security companies constituted a threat to national security was made on a "political whim". The bill is currently being amended. In South Africa, the private security industry is estimated to be worth R50 billion. Fear, it turns out, is lucrative. But if investigations reveal that private security firms have been drastically overstepping the mark in situations like the past week's farm protests, some urgent questions will need to be asked about further regulation of this industry.